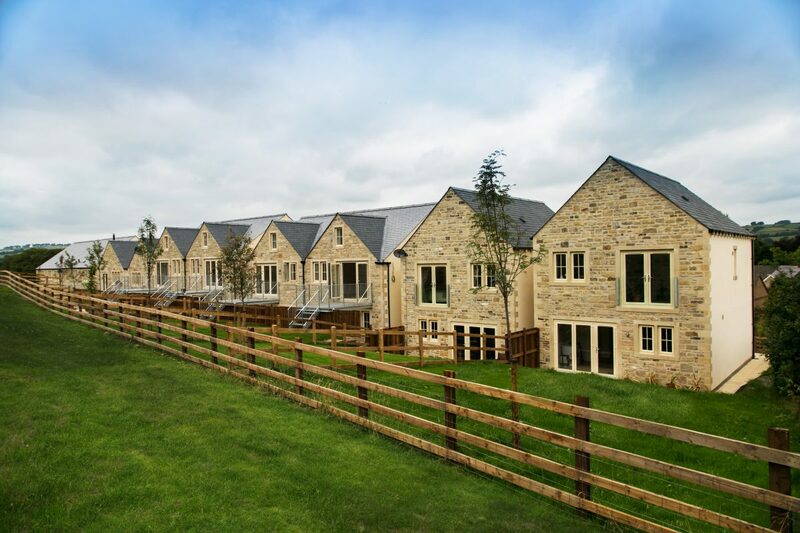 Bowman Riley designed 13 bespoke three and four-bedroom luxury homes for award-winning developer Candelisa on a one-acre greenfield site in the semi-rural village of Eastburn near Steeton, West Yorkshire. 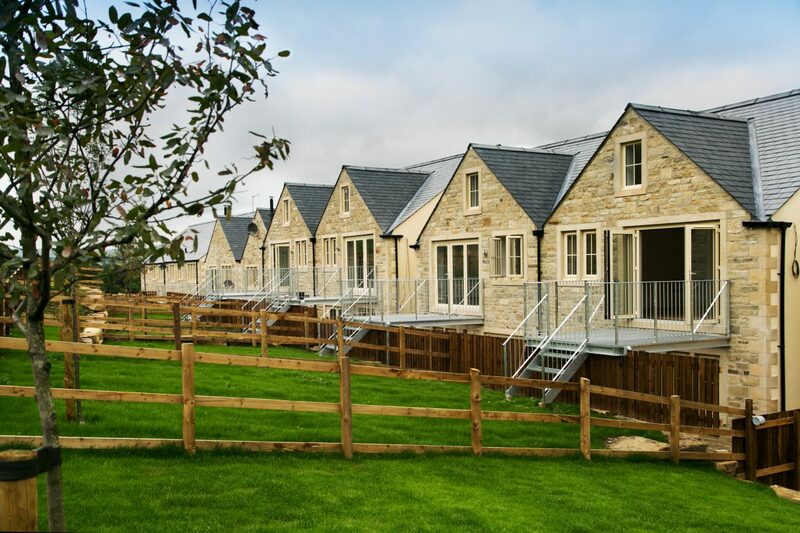 Candelisa purchased a one-acre greenfield site with full planning consent for 19 new build houses on a steeply sloping site. It became apparent that the consented scheme had significant obstacles in its deliverability including overhead power lines and maximum road gradients. The development needed to be carefully re-planned in consideration of the site constraints, the need to minimise excavation and expense and not exceed the maximum permissible road gradient for highways standards. 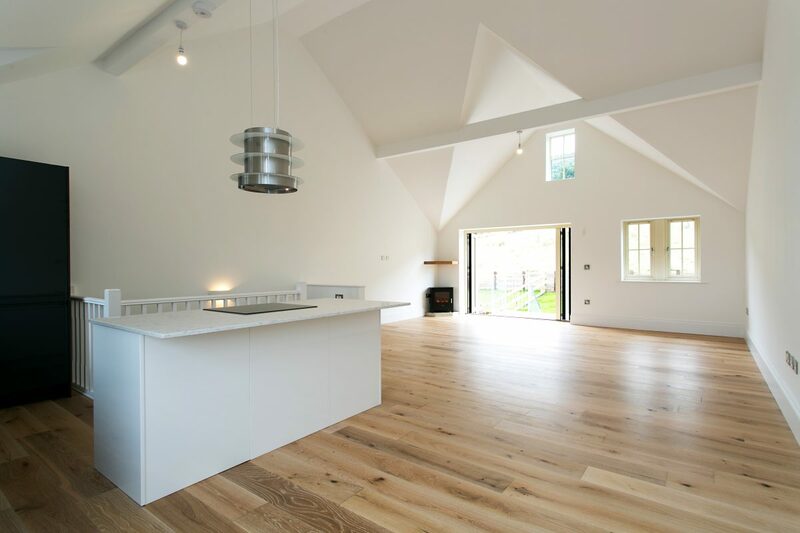 The topography was modelled in the BIM software, Revit, which enabled our designers to re-work the scheme. Site sections were cross-checked and floor levels adjusted to suit. In this way, the site cut and fill was calculated prior to planning submission resulting in valuable cost information at an early stage. 3D street visualisations helped communicate the relationship of the new homes to existing houses and the hillside in context. Responding specifically to the plot orientation and topography, 13 bespoke three and four-bedroom houses were designed using split levels. 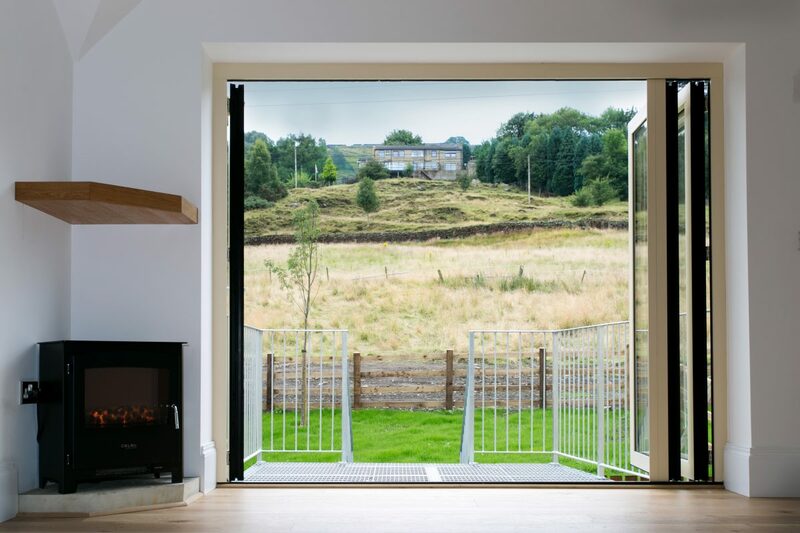 The designs maximised light and space and provided spectacular views over the open Aire Valley countryside. 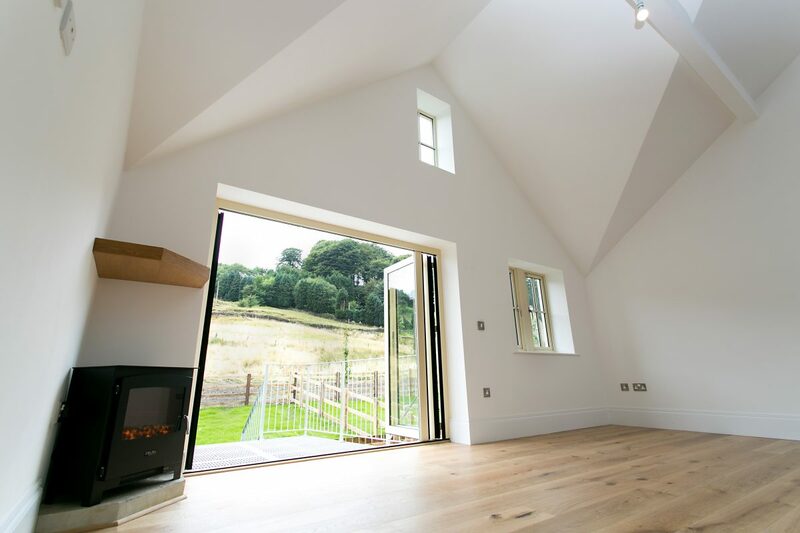 Exciting and innovative internal spaces were created using double height volumes and maximising long distance views from first floor Juliet balconies to master bedrooms and living areas. 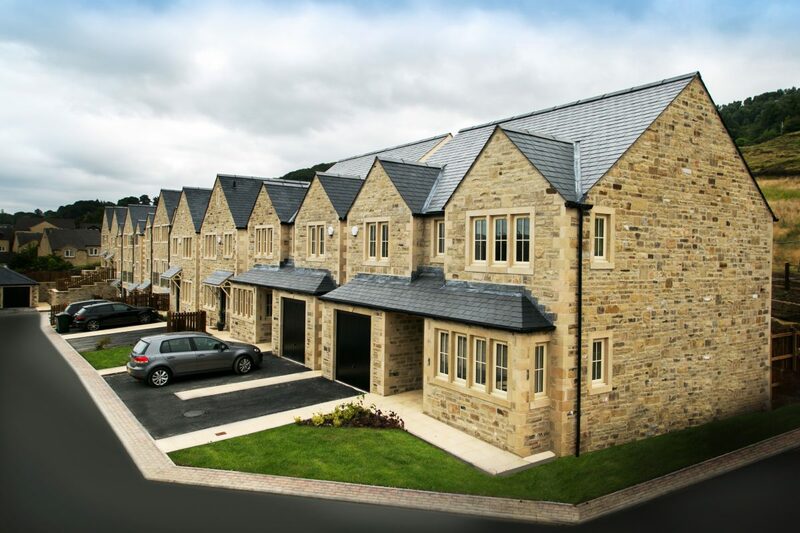 Local vernacular features such as stone quoins and natural random coursed stone contribute to enhancing the desirability of the development. Additional features include bat boxes and electric car sockets in garages. Images courtesy of Candelisa. For further information on the development please click here.